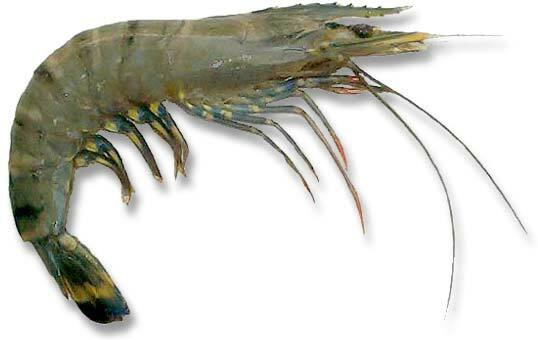 Tiger Prawns are generally brown with dark banding. Their rostrum and antennae are also banded. 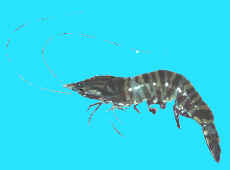 Brown Tiger Prawns are endemic to Australian waters. Adult Tiger Prawns are found to depths of 200 metres, but are mostly trawled in 10-20 metres of water over coarse sediments. Juvenile Tiger Prawns are found in shallow waters associated with seagrass beds, sometimes on top of coral reef platforms. 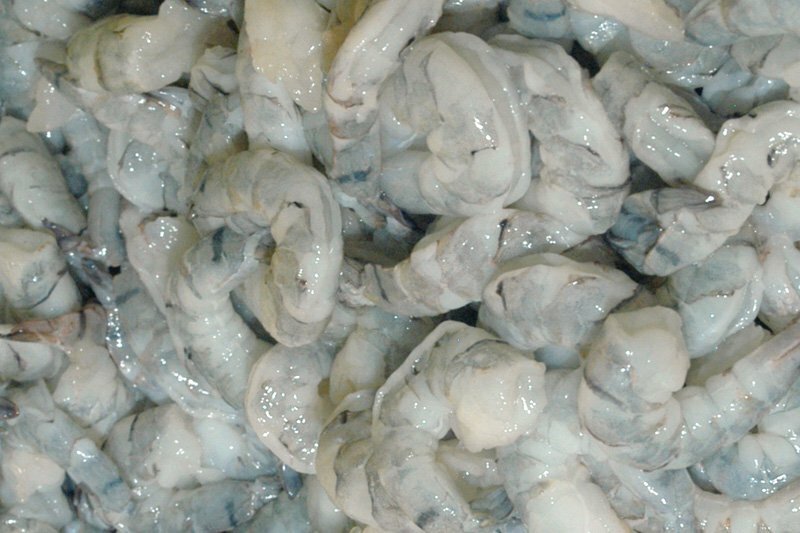 Brown Tiger Prawns spawn in the Gulf of Carpentaria throughout the year with a peak between July and October, in both inshore and offshore areas. A female tiger prawn with a 39mm carapace length produces about 364,000 eggs. Tiger prawns feed primarily at night. Their diet consists of molluscs, crustaceans and polychaete worms. Tiger Prawns are prey to squid, cuttlefish and a variety of fish. Estuarine fish such as barramundi and king threadfin and catfish are major predators of juvenile tiger prawns. 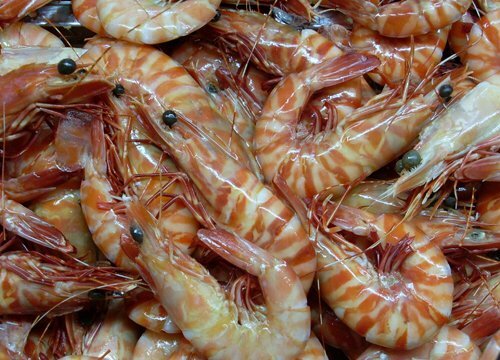 Most of the Tiger Prawn catch in Australia is exported, with Japan the major destination. Tiger prawns are caught at night using demersal otter trawls. Beam trawls are used in some areas of the east coast fishery. Black Tiger Prawns (Penaeus Monodon) - (also known as giant tiger prawn, jumbo tiger prawn, black tiger prawn, BT Shrimp, leader prawn, sugpo and grass prawn) is a marine crustacean that is widely reared for food. The black tiger prawn is a widespread, fast growing tropical to subtropical species suited to warm brackish water that occurs naturally along the northern Australian coast. The natural distribution is Indo-West-Pacific, ranging from the eastern coast of Africa, the Arabian Peninsula, as far as South-east Asia, and the Sea of Japan. They can also be found in eastern Australia, and a small number have colonised the Mediterranean Sea via the Suez Canal. Further invasive populations have become established in Hawaii and the Atlantic coast of the USA (Florida, Georgia and South Carolina). The species can tolerate a wide range of salinity, ranging from brackish to 40 ppt (parts per thousand), although it prefers lower salinities and warmer temperatures. Both sexes reach approximately 36 cm long, and females can weigh up to 650 g, making it the world's largest species of prawn. Prawns (or shrimp) come in different sizes, textures and prepared methods. They are a very versatile seafood, which can be cooked in a variety of ways, from very simple to extravagant. Great for BBQ's and al-fresco dining. Black Tiger Prawns are occasionally trawled off the coasts of Western Australia, the Northern Territory and Queensland, out to depths of 150m. However, most are produced by Aquaculture. In NSW, Tiger Prawns are grown at a number of north coast Prawn Farms. 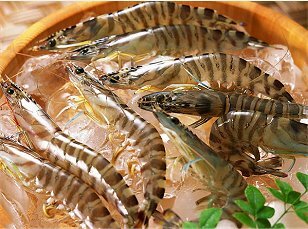 Exporters of Black Tiger Shrimp, Importers of BT Shrimp, Processors of Tiger prawns, wholesale suppliers of tiger prawns listed. Publications and information on Black Tiger Prawns from Western Australian Fisheries, Australian Government Australian Fisheries Statistics, NSW Department of Primary Industries Fishing & Aquaculture information on Black Tiger Shrimp, Commonwealth Fisheries, Sea-Ex Trade Seafood Industry Directory company information and contact details for buyers of tiger shrimp and sellers of tiger shrimp, also other types of prawns and shrimp information.